Winter Flowers - Is there Anything in Bloom? The short answer is YES! Winter in New Zealand brings still a beautiful selection of flowers available at your Local Florist. We are fortunate that so many of our N.Z. flowers are grown in hot houses which means the floral staples of Roses, Alstroemaria, Chrysanthemums, Lillies, Carnations etc are in stock all year round. What's really lovely about the winter months though is those seasonal delights - and although the selection is not as great and varied as the summer months there is still some floral treasures to be had. I know, I know but it's Winter!!! Well this is the time to see the spring flowers in all their glory available in store. The tulips this year are glorious, and we are seeing iris, freesias and the narcissus family (that's daffodils, earlicheer, paper whites and jonquils) come through the flower markets, and later in the season there will be gorgeous anenomes too. It's true to say that the spring flowers are many peoples favourite blooms! Oh Winter thank you for Orchids! Did you know New Zealand grows the most stunning Cymbidium orchids - we have a huge export market for them and they are sent to Japan, China, Australia, America and the Dutch flower markets. Our Orchid blooms are gorgeous and come in an array of stunning rich colours. The great thing about orchids is they last and last! An orchid arrangement or bouquet will last for weeks - sending lots of pleasure to the recipient! 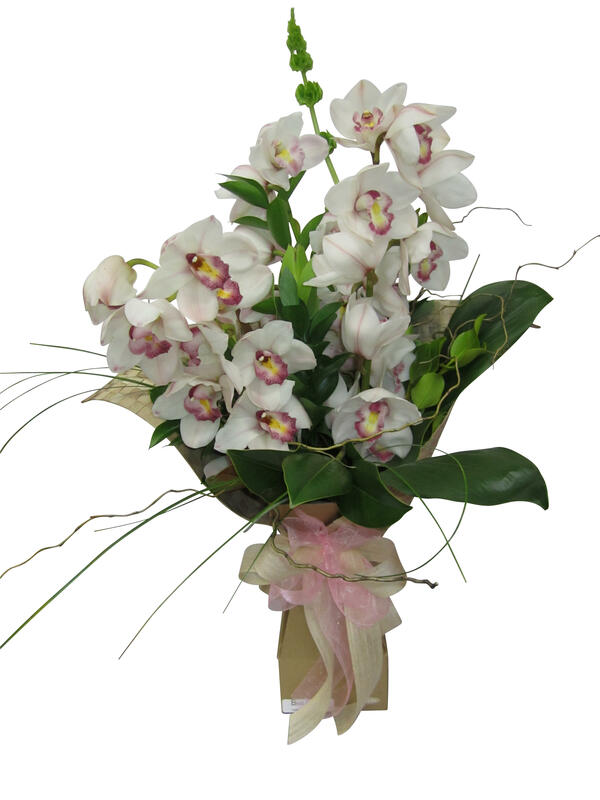 The orchids also have a soft sweet scent which adds something special to any bouquet. Although a South African native flower, we find proteas work really well with New Zealand inspired design work giving a funky look and again a great long-lasting flower for us to use in floral arrangements. At this time of year there are also leucadendrons, pin cushions and other blooms from the proteaceae family. 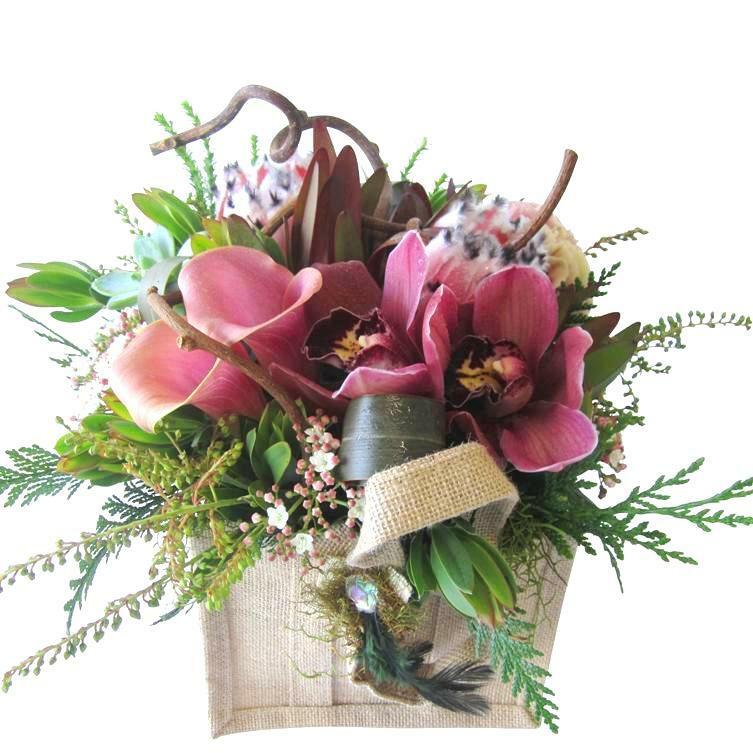 Our favourite design using a mix of proteas, orchids and other winter blooms is our Kiwiana Jute Bag which adds a real kiwi style to these blooms and creating an arrangement that will last and last - Perfect for hospital deliveries! Yes True - although we think of this look as pure Hot Summer - the tropical flowers bloom over the winter months. 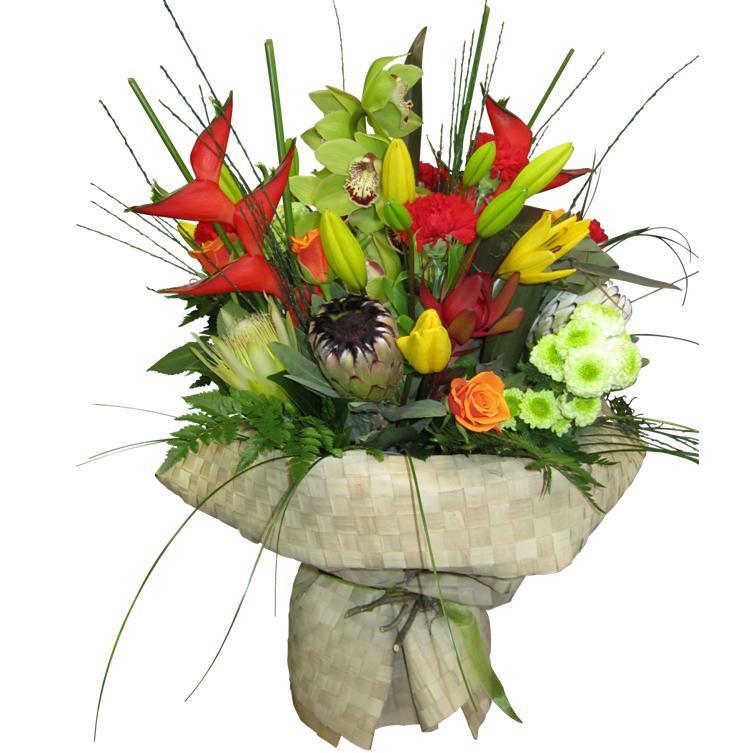 We get striking Heliconia direct from our grower in Northland and they are stunning! The work so well with Anthurium, Orchids, Protea and Lillies giving a design that is just knock out and will definitely banish the winter blues! So if you want to send flowers this winter - choose something beautiful and seasonal and full of interesting Winter blooms. 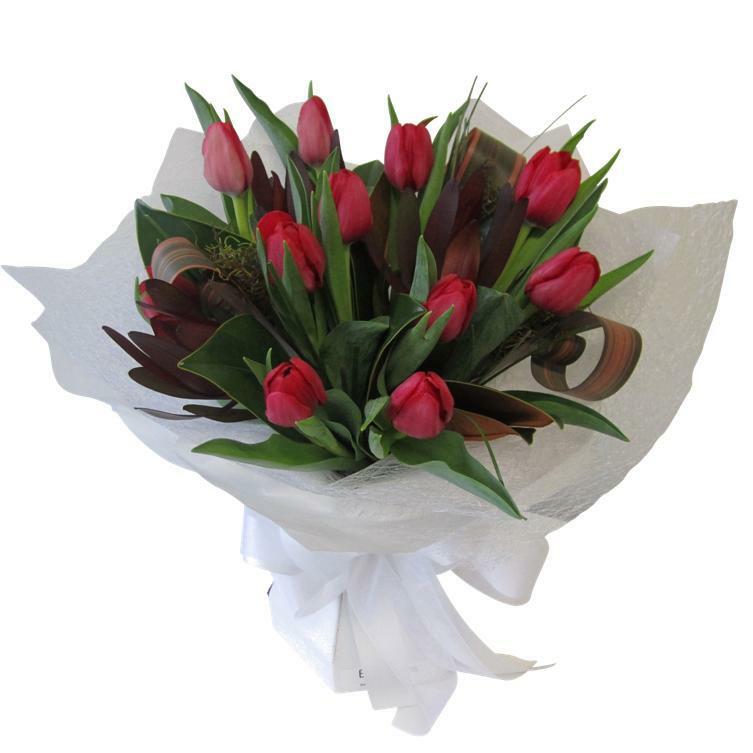 Your thoughtfulness is sure to be appreciated in the cold months!